This page is about myself (Issa Rice); for information about this website, see About the site. I am highly introverted1 and curious about a wide array of things, including effective altruism and rationality (mostly LessWrong). Currently I am working mainly on the Cause Prioritization Wiki. I like spending time on the question-and-answer site Quora mostly by trying to ask the most interesting questions. I think question-askers are often ignored because once a good answer to a question is produced, the answer is what gets attention, not the question that led to the answer. For my most recent questions, see my questions page on Quora (note that as of December 2014, this list contains both the questions I’ve asked as well as questions I’ve followed; unfortunately there isn’t a way to see these individually). I’m also highly interested in the quantified self movement, vegetarianism and veganism, the free content movement (so things like copyleft and the Creative Commons), the free software movement, typography (though mostly just with LaTeX and this website), pure math (formal logic and set theory, though my knowledge here is not very advanced at this point), the organization and dissemination of knowledge, longevity, neoteny and looking young, castration and eunuchs, long-term thinking, Econlog, and existential risk. I am also passionate about the unschooling movement (see the Quora topic Education Reform and Disruption and my answer to “What would Noam Chomsky think of unschooling?” on Quora for more), and occasionally contribute to the Cognito Mentoring info wiki (a resource designed to help students who are intellectually curious but are frustrated with traditional schooling); you can view my contributions. Ambivalence about Japan is also an important part of me2; see Nobel laureate Ōe Kenzaburō’s speech on the topic. I do like the language and some of its literature and music, and am fascinated by certain aspects of Japanese society (like hikikomori and the decline in traditional romantic relationships), but cannot stand for instance its emphasis on deference to authority, nor can I tolerate its education system. 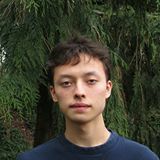 I am also currently a second-year student at University of Washington (UW) in Seattle, WA, USA. My major is computer science, but I’m also highly interested in mathematics. I am continually conscious that the most important work I can do may not yet exist as a career; as such I want to adopt “a more wary attitude where I try, at each stage, to equip myself best for the present and the immediate future while gathering knowledge and resources that will help me in the farther future” (source). At the moment I think computer science is the best option for me in terms of being versatile for the future.
. See Contact for more options and account names I use on various websites. I have a photo you can use to identify me. See How should I properly pronounce your name? for information about my name.